Expertly rejuvenated in an up-to-the-minute designer style, this inspiring family retreat is a haven of light, space, and quality. 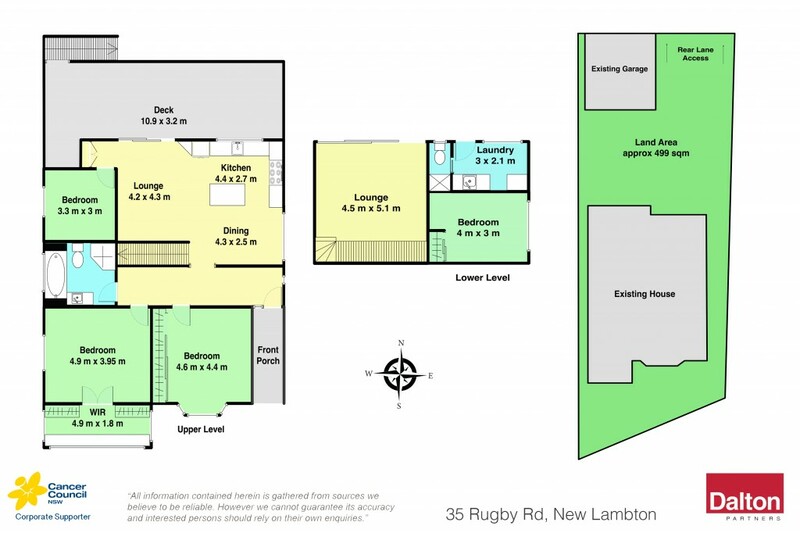 Located moments away from the local shopping village, within the catchment area of highly sought after New Lambton High School, it delivers a contemporary lifestyle with luxury inclusions, sweeping district views and no shortage of outdoor entertainment areas. * Californian bungalow flowing over 2 light-filled levels. * Open plan living with seamless flow to wide deck. * Deluxe chefs kitchen with killer district views. * 4 bedrooms - 3 up/1 down, featuring WI/BIRs. * Luxurious bathroom with deep soaking spa/rain shower. * Second living area downstairs - ideal for teenagers. * Ducted AC / well-appointed laundry with 2nd bathroom. * Moments to local shopping village and cafe lifestyle. * Gorgeous rear yard bordered by established gardens. * Easy rear lane access to DCG / sub-floor storage.